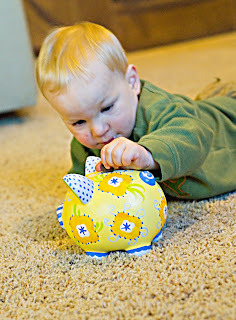 Zack loves when daddy gives him change to put in his piggy bank. He always hesitates to put the last coin in the slot. 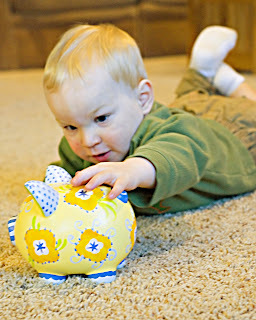 He'll put it half way in and pull it out multiple times before finally dropping it in and then he tries to figure out how to get the money out of the bank and/or asks for more money. Zack is a funny and smart guy to ask you for more money! !